EdgeManage -- is all about managing your Edge favorites. 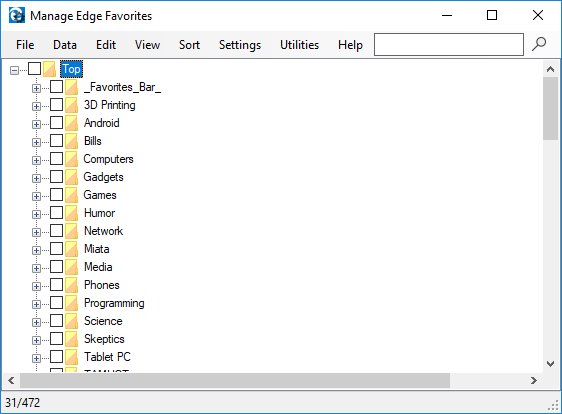 It is designed to address a lot of the missing features in the new Edge browser. Copy, Move, or Delete multiple items at one time via "checkbox multi-selection"